The EFA’s 2015 Awareness Day gathered patients, loved-ones, educators, advocates and medical professionals to share experiences and to continue the ongoing dialogue related to endometriosis. Attendees discussed a wide range of topics including surgical treatment, hormonal therapies, nutrition, exercise, pain management, fertility, botanical therapies, adolescent care, and relationships. Deborah Bush from Endometriosis New Zealand opened the day with an engaging talk that had everyone out of their seats and moving! Awareness day also featured the presentation of the first ever ENPOWR Award honoring Senator Jeffrey Klein, NY-34, and the schools from the Young Women’s Leadership Network (YWLN). Senator Klein was on hand to accept the award and to announce that NYS would fund The ENPOWR Project, the EFA’s adolescent education program, for the third consecutive year. The YLWN award was accepted by two students from the Queens school, representing the over 700 students within the network who learned about endometriosis through The ENPOWR Project. Titled, “Ending Endometriosis Starts at the Beginning,” the EFA’s sixth annual Medical Conference was a weekend of clinical, surgical, and scientific discussions facilitated by an international faculty addressing procedures, protocols, research advancements in endometriosis. Sunday’s talks focused on the clinical care of endometriosis, and specifically, excision surgery practices and techniques. Dr. Stephan Gordts delivered his famed “Weeping Ovary” lecture, which was a highlight from the day. Monday’s program offered lectures from top endometriosis researchers including Dr. Peter Gregersen of the ROSE Study and Dr. Stacey Missmer from the Boston Center for Endometriosis. This year’s Harry Reich Award was awarded to Dr. Ronald Batt and Dr. Robert N. Taylor for their practice, research and advocacy toward improving women living with endometriosis. 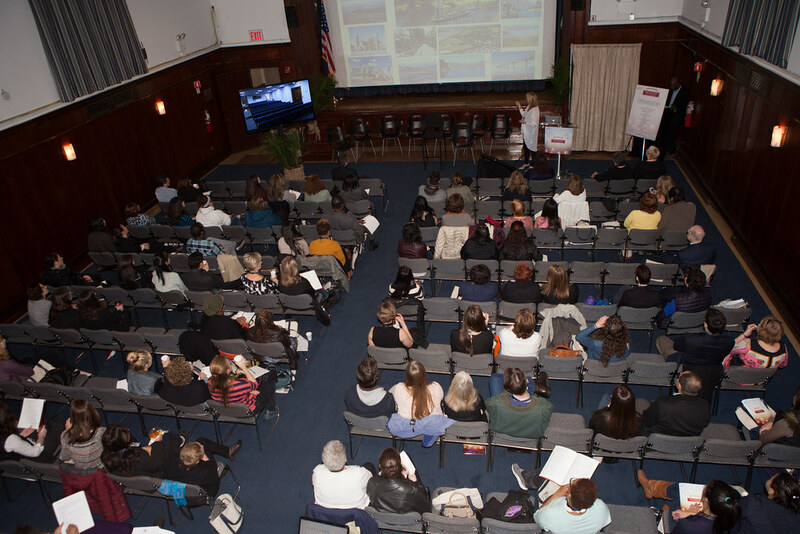 Their keynote lectures were a highlight of the program and offered insightful evidence of the progress gained through a lifetime of work, as well as hope for the future of endometriosis care. Attendees included patients, researchers, and physicians from across the country, as well as medical students arriving on travel scholarships given by the EFA. This serves as part of the organization’s commitment to educating the next generation of physicians in best practices for endometriosis care. The EFA is thrilled by the successes of this year’s meeting.